If your student is interested in continuing their art education outside of the classroom walls, I have compiled the following resources to direct you to many artistic opportunities available right here on the South Shore. I hope you find this helpful and find the right fit for your budding artist! Right here in good old Rockland, there is a resource for art education! Located in the E.T. Wright building, the Premium Art Outlet (custom framing company) provides art classes to students of all ages! CLICK on the picture to visit the website and see what they are offering at this time. A great resource for many ongoing art classes as well as wonderful art exhibits. Visit the website by CLICKING on the photo, and see what they are currently offering. The Fuller is a wonderful museum dedicated to showcasing the artform of crafts of all kinds. The courses they offer touch many mediums and offer a wide variety of artistic opportunities. CLICK on the photo to travel to their website and check out the latest class offerings. 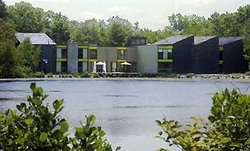 Located right in beautiful Marshfield, the NRAS offers both adult and young adult workshops and classes. Drawing, painting and pottery are just a few of them. They also offer financial aid scholarships as well as a sibling discount if you have more than one artist you would like to enroll. CLICK on the photo to travel to their website and see what is being offered at this time. 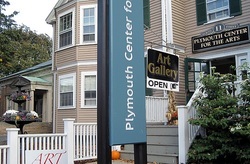 Located just steps from the "the Rock" in downtown Plymouth, the Plymouth Center for the Arts offers some wonderful and varied courses for student artists. Portrait drawing, wheel throwing and even an "Art Buffet" class offers exposure to many types, styles and mediums of art making. CLICK on the photo to check out these cool classes! 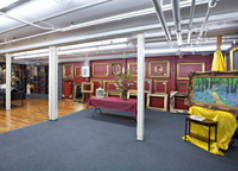 The SSAC offers many adult and youth art education workshops and classes. Painting, figure drawing and clay workshops are just some of the regular classes offered for your middle school age student. CLICK on the picture to travel to their website and check out what is being offered at this time. 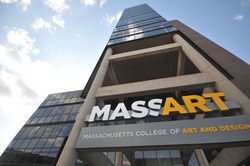 Although its a little bit further than some of the local resources, for your art enthusiast, Mass College of Art and Design in Boston offers many opportunities for furthering their art education. They offer summer programs as well as Saturday studios that cater to elementary through high school age students. The courses range from fashion design to painting to sculpture and even comic book art. CLICK on the picture to travel to their website and check it out. 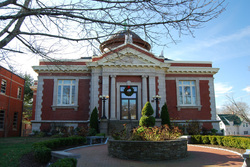 The Rockland Memorial Library is a great resource for FREE MUSEUM PASSES! If you would like to take your student into Boston to give them the museum experience, call ahead to reserve passes to either the Museum of Fine Arts or the Isabella Stewart Gardner Museum. CLICK on the picture to travel to the library website and find out more information.